We do it all – with excellence! Welcome to Richards Guitar Studio and Richards Rock Academy! Contact us to schedule a Trial Lesson for only 19.95! Or for, general information and inquiries. Want to try multiple instruments, or have multiple family members wishing to learn? Make an “a la carte” package of trial lessons – Try our RGS Music Pass. Scroll to the bottom to see list of services. Comprehensive: High Quality music lessons and methods for guitar (electric, acoustic, classical), drums, piano, voice, music theory, violin/viola, and electric bass in all musical genres from trained and educated teachers? Check. 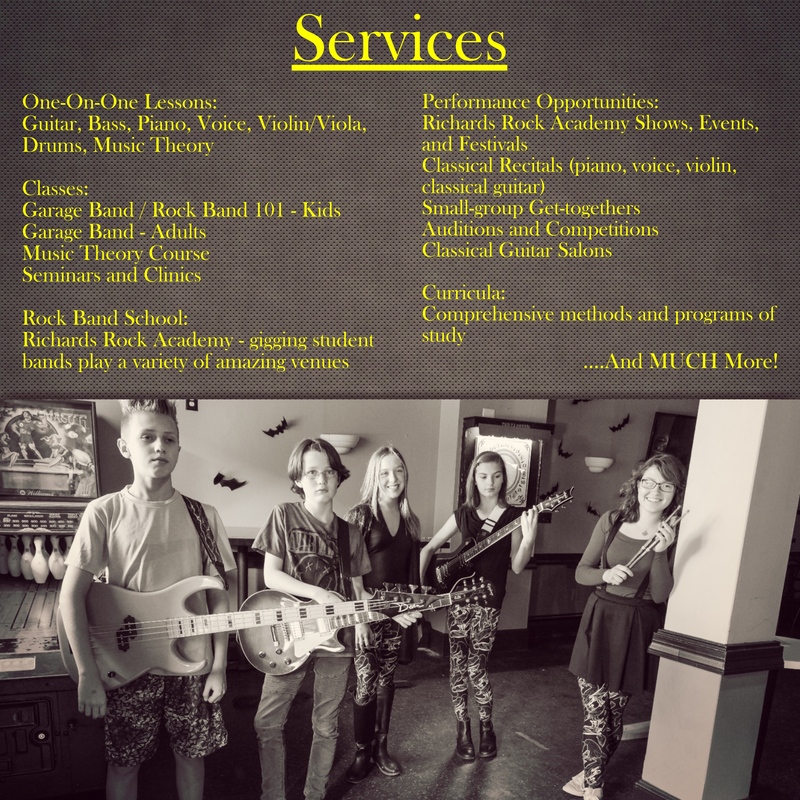 Need Traditional, Classical Lessons? Do we have a rock school? Yes! Does that mean we lack classical professionals on our staff? No!!! We are built upon classical values and training (owner Nate Richards holds a master’s degree in classical guitar performance, and is the orchestra director at Garnet Valley High School). Legitimate classical piano, guitar, violin, viola, and voice lessons from classically trained teachers with undergraduate and/or graduate degree? Check. 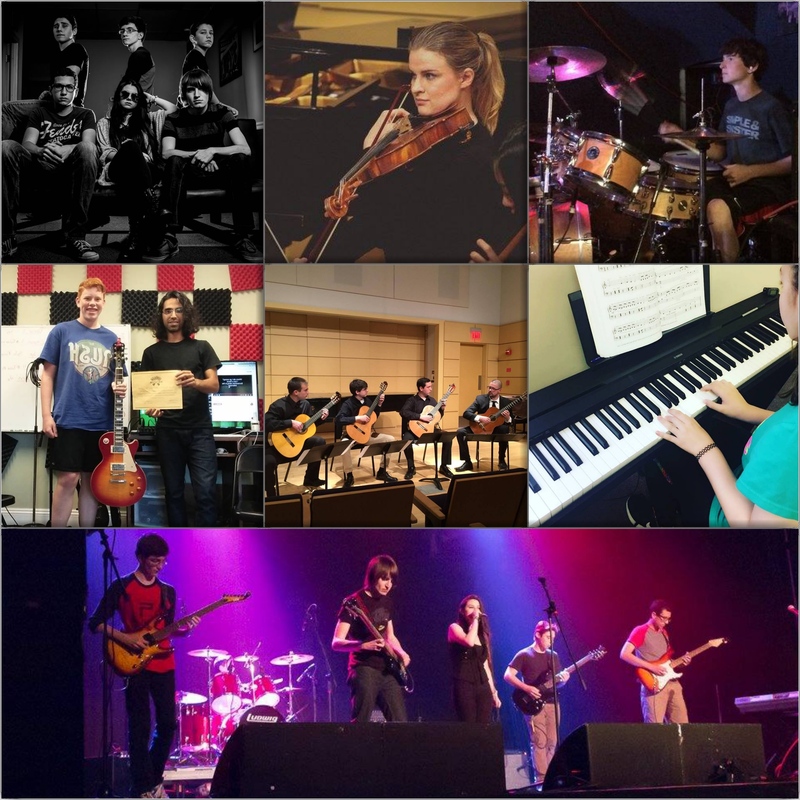 Richards Rock Academy: Rock school with an engaging culture and motivating atmosphere that pushes students beyond their own expectations? Check. We are confident that we can meet your needs. Give us a try and…. Do something you love – We’ll teach you how!